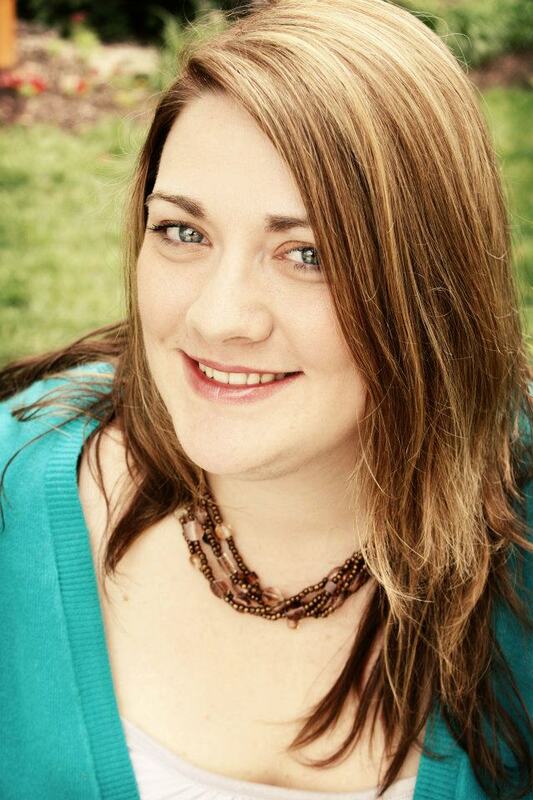 The Celebration of Bloggers Tour welcomes Samantha Stroh Bailey! I’m thrilled to invite Samantha Stroh Bailey to my blog today as part of the Celebration of Bloggers Tour. Not only is Samantha one of my favorite authors – Finding Lucas – was at the top of my favorite books of 2012 and is up there on my list of favorite chick lit books ever – but she is one of my dearest friends. I remember when I saw the 5 star rating she left on Goodreads for Just Friends with Benefits. I was so excited since I had been following the Chick Lit Plus blog tour for Finding Lucas and knew all about Samantha. I was flattered that she chose to read Just Friend with Benefits without knowing me and that she loved it. I immediately read Finding Lucas, devoured it (as mentioned above) and then Sam and I connected and the rest is, as they say, “history.” (I also learned that no one who knows her personally calls her “Samantha” unless they are angry with her.) Anyway, although Sam has a blog on her website, she is not a “blogger” per se, but as you will see in her post below, she has the utmost admiration for book bloggers and so I invited her to be part of my tour to talk about it. Please read her touching post below and then do yourself a favor and download Finding Lucas. You won’t regret it! I met Meredith through Twitter after reading her first novel, Just Friends With Benefits. I was addicted to the story, and when I finished it with a huge smile on my face, I knew I had to say something to her. But I was a bit nervous to reach out to an author I didn’t know (oh, how things have changed! ), but I wanted her to know how much I loved the book. A deep, instant friendship was formed. 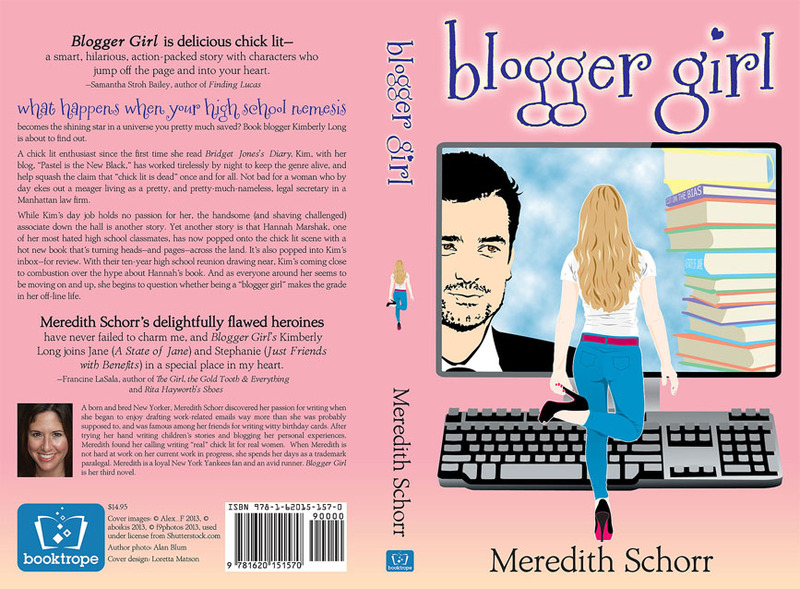 When she let me read Blogger Girl, I was so excited and stayed up late way too many nights tearing through the pages to get to the heart-pounding ending. I am truly honored to be included in this celebration of bloggers! Before I self-published Finding Lucas in April of 2012, I spent a good many hours on book blogs. I loved reading the reviews, author news and hearing about the new releases. The sites were so well-organized, eye-catching and constantly updated. At the time, I had no clue that these bloggers make no money at all. They blog simply for the love of books and to help promote the authors they adore. When it was my time to contact bloggers to review Finding Lucas, my hands shook, my mouth went dry and my stomach jumped. Who was I to ask these bloggers, who reviewed well-known and best-selling authors, to look at my book? Well, I was amazed by their kindness, warmth and willingness to review Finding Lucas. Not only that, but I have formed some great friendships with bloggers through shared histories, favorite films and television and our obsession for books. There are so many bloggers I want to mention, but it would take me pages, and I’m sure you don’t want to stick around for that. So, I want to give a shout out to a few who helped me so much in the beginning of my publishing journey. The first blog I wanted to contact was Chick Lit Central because it’s so professional, fun and popular. Melissa Amster and I immediately clicked, and I even though I’ve never met her in person (I will! ), she has become a close friend. She sent me a huge list of other bloggers to contact, answered my inane questions and truly held my hand. 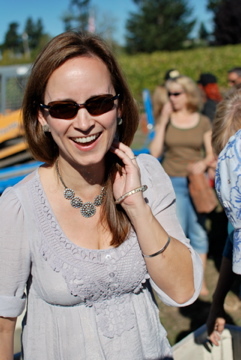 She is a gem, and because of her and Chick Lit Central, chick lit continues to thrive. Samantha March of Chick Lit Plus is amazing. We all call her Superwoman because she has a fulltime job, manages the blog, writes, runs a small press and has been planning a wedding with all of that. She answers emails in seconds and is so warm, lovely and easy to talk to. I did my first ever book tour with Chick Lit Plus, and I’d love to do one for every book I publish. A newer blogger who has been an endless support to me is Marlene Roberts Engel from Book Mama. She shouts from the rooftops how much she loved Finding Lucas, and I cannot thank her enough. Now the sister blog to Chick Lit Central, Book Mama offers fantastic reviews and giveaways. Chick Lit Central and Book Mama together will make even the most skeptical reader pick up a pastel colored book. And if you don’t know Julie Valerie of Chick Lit Chit Chat, you should. She is brilliant, hilarious and generous, and her posts and reviews are unbelievably good. When seven authors and I hosted Book Buzz 2013 in NYC this past May, Julie stood behind a table the entire night selling our books and making us all look good. She is one of my favorite people in the world. There really are a ton of bloggers I can gush about, like Lydia Laceby from Novel Escapes, Kaley Stewart from Books Etc, Laura Chapman of Change the Word, Kathleen Higgins Anderson of Jersey Girl Book Reviews, Josie Thomas from Ebook Addict, Crystal Serowka of The Indie Bookshelf, Sabrina Kate-Eryou and the incredible founder of The Chick Lit Goddesses, Isabella Louise Anderson. I can go on and on. Are you still reading? As a writer, I am often asked to review books. Now, I can write a book, but a review? There’s an art and a skill to that that I don’t seem to possess. I love reading and reviewing books for pleasure, especially those from authors I’ve loved, but formal reviews? I leave that to the professionals. Truly, writing a detailed, honest and thoughtful review takes a lot of time, work and finesse. The book bloggers have it. Without book bloggers, our novels would never get the exposure they do, and I am beyond grateful. Support these incredible people by following their blogs, commenting on posts, and sharing them with other book lovers. We’re all in this together.